I was in a global strategy meeting at the organization where I work last week. We had people from various disciplines present from across the organization and the goal was to chart a path to 2015 and beyond. For the first couple days it seemed like a lot of talk and a lot more talk. We had very bright, very capable people representing different aspects of our work in the room. This can make things quite messy and tiring, and it can feel like everyone is talking in circles because there are so many perspectives and angles and factors that need to be considered in finding shared ground. Sometimes we are so participatory and complicated that we get in our own way. But by the 3rd and final day the perspectives had come together into a much clearer view of where the organization is headed, and we had the beginnings of a shared plan for how to get there. We worked in a few main groups, and I participated in the Communications group. Much of our discussion centered around integrating better communication in all aspects of our work rather than seeing the role of Communications (and the Comms Team) as designing one-way messages out to the public. One colleague described this as ensuring ‘built in’ rather than ‘bolted on’ communications. For me the discussions and end decisions were great, because there was a shared push in the group to move the organization towards things that I think are very important. Even more important than ‘talking about’ the topics above, we worked on plans to actually do them…! Note: this is not an official meeting report but rather my own take-aways from the workshop. Salim (left) with Solomon in Kinango community. As I mentioned in my previous post, Plan’s Kwale District office in Kenya has been a role model for Plan on how to integrate ICTs into community-led programming to help reach development goals and improve access to children’s rights. 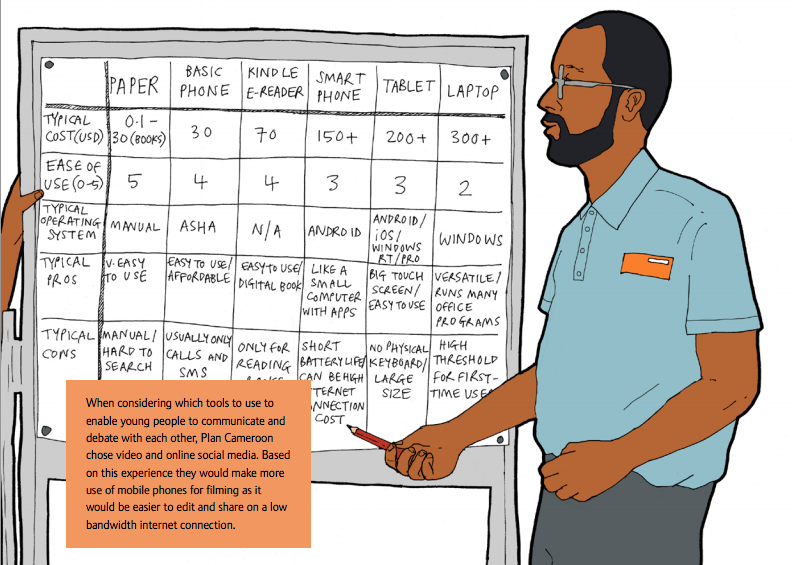 I talked with Salim Mvurya, the Area Manager in Kwale, last week and asked him for advice for the tech community (0.15), corporations (1.19) and development organizations (1.57) who want to build in ICTs for moving towards development goals. He also comments on the importance of realizing that development is changing (4.43). You can watch the video below or at this link. If you’re not patient enough to watch a 6 min video (often I’m not!) or don’t have a strong connection, see the transcript below. 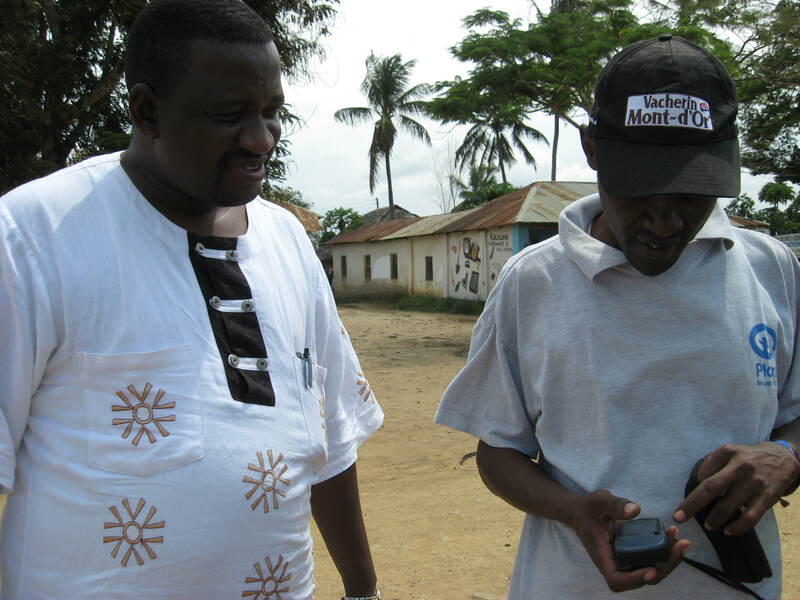 You can also view Part 1 of the video, where Salim gives some background on how Plan Kwale has been using ICTs in their programs since 2003 (1.11), shares ideas about the potential of new ICTs (3.42) and talks about some key lessons learned (5.03). Or you can read the Part 1 transcript here. My name is Salim Mvurya, I’m the Area Manager for Plan in the Kwale Development Area. What advice can you give to outside tech people who want to develop something for a place like Kenya? I think that to get an idea externally is a good thing, but that idea has to be blended with grassroots. It has to be contextualized, because there are very many good ideas which may not be appropriate at the community level. So I think my advice, for people who have ideas, who have never been to Kenya or Africa or in the field, is to leave the process to be home grown, so that the ideas that are coming from outside are building on existing issues, so that the ideas are also looking at what kind of skills and what can be done on the ground, and looking also at issues of sustainability. So it’s very important for somebody from outside the country to be sensitive to local conditions, local context, local skills and also looking at putting ideas that can be self-sustaining. 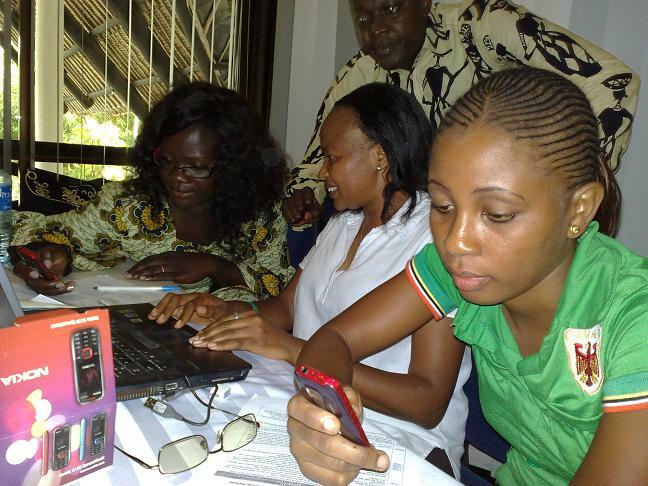 What is your advice for corporations who want to support the use of ICTs in development? Corporate organizations who are interested in making a contribution to ICT for development, I think it is important that they foster and have partnerships with grassroots organizations that can really give them the issues because, OK, most corporations are very innovative, but working with grassroots NGOs and civil society that can give them the practical sense of those ideas, I think would be a good thing to do. What is your advice for colleagues trying to successfully integrate ICTs into their programs? One thing for organizations that are thinking of utilizing ICT is that you need local capacity. Like, if you have a field office, for example, Plan has development areas, in development areas, particularly for Plan, the ICT technical people should also have an opportunity to lead the ICT for development. What I have seen in the few years that I have been trying this is that it requires also the ICT function to be more available to communities. It requires the ICT function to also work around the program issues that the team is thinking, so it’s not just about looking at systems, looking at computers, but looking at how can all these ICT skills be able to help to develop programs. How can the ICT function be able to support innovations that are also going to enhance problem solutions at the community level. How can we use ICT to strengthen our interventions in the community? And I must say from experience, that the ICT coordinator for Kwale has been more of a ‘program’ person, and I think that is why we are seeing all these gains. I remember when we were designing the community-led birth registration one afternoon, we sat together and we were thinking, how can we put all these ideas together and include ICTs in it, so I think it’s about having an ICT function that is responsive to the program issues on the ground and not necessarily sitting somewhere and looking at softwares. You know, even designing a software that would be more responsive to what is happening on the ground, like looking at issues of child protection and seeing how can ICT help the response mechanism. Looking at issues of accountability and seeing how ICT can make a contribution to accountability processes in community. 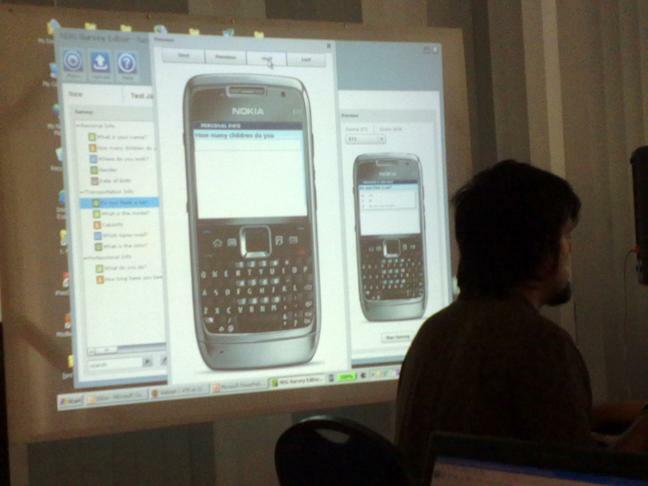 So I think that is the kind of ICT that would be appropriate in the field, but also an ICT function that can learn. You know, learning from other people, but bringing the lessons closer home to see what can work, and what can’t work. Any last advice for development organizations around integration of ICTs? The message that I would want to give to stakeholders and development organizations is that a lot is happening in the world in terms of ICT. Also recognizing that development is changing… ICT is providing opportunities for greater advocacy and accountability, and I think getting the interest for looking at all this and trying to say ‘what does this mean for development’ I think is very very critical. The youth constituency is emerging as very critical and they have interest in ICT. I know in Kenya youth have been trying different things, different groups, but I think ICT is providing an opportunity for them to strengthen accountability but also to be able to get skills that they can use as individuals that can also make a contribution in economic development. I spent last week in Kwale, Kenya in the company of several colleagues learning about and discussing the use of mobiles in community development, both for outreach and communications and for mobile data gathering. There was a variety of people — from frontline staff to members of Community Based Organizations (CBO) in Kwale, to monitoring and evaluation (M&E) staff from Plan Kenya’s districts and central offices and Plan’s West Africa Regional office, to IT staff, to youth and those working with youth media, to partner organizations working on child help lines and social media outreach. 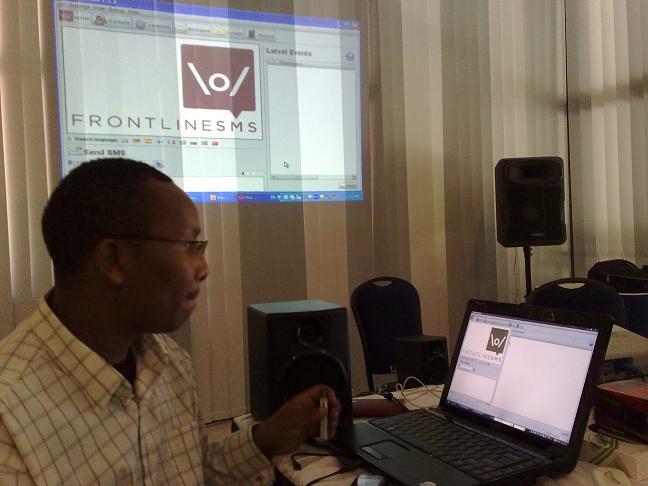 We looked closely at Frontline SMS (FLSMS) and Nokia’s new Data Gathering Software (NDGS) and brainstormed on ways that this type of tool might support the work that people are already doing. Really an interesting week! -Organizing weekly radio contests via Frontline SMS and allowing many more youth to participate in the radio program that way. Now for contests, they have to write a letter with their answer and bring it to radio station by foot. Using SMS many more could participate, increasing listeners and engagement. -Assessing the radio show right after the recording. The youth and children could go in the audience and gather the data they normally do by hand using mobile data gathering software, thus easing the processing time and analysis of the information. -Monitoring progress and changes made in relation to the show at a broader level — the participating youth could use mobile data gathering to monitor change related to the issues they are targeting in the radio shows and to see if youth organization and awareness building is impacting on the community over time. Photo: people got really excited when their first forms appeared on their phones to be filled in! -Receiving reports and sharing information about violations of rights (gathering info on whether children are being registered at birth, the incidence of school violence, girl’s or women’s rights violations, cases of child abuse) and offer short information on where to go for help. -Tracking birth registration certificates and sharing information on the steps of the registration process. With auto SMS replies we could enhance information accessibility 24/7. We could provide instant feedback to people on the status of their birth registration. It would be a very quick way of sending information to many. -Using mobile data gathering software, the birth registration process could be made paperless and computerized, thus saving time and effort for the population and increasing the number of children who are registered at birth. Photo: Jackson and 3 other colleagues from Brazil trained us on the NDGS. -Running a mobile survey or a rapid assessment to find out whether a service like Childline is reaching people and whether the service is known and being utilized in the field. -Communities have a lot of information they want to share among themselves, among the Community Health Workers (CHWs), with the other communities and other leaders – they could do this with FLSMS. -Inviting participants, confirming attendance, updating on the absentees when you’ve reached a decision they could be contacted this way. You could even involve those who are absent in voting by SMS if you don’t have quorum; eg., text in 1 for this candidate, 2 for this other one, or vote yes/no on something. 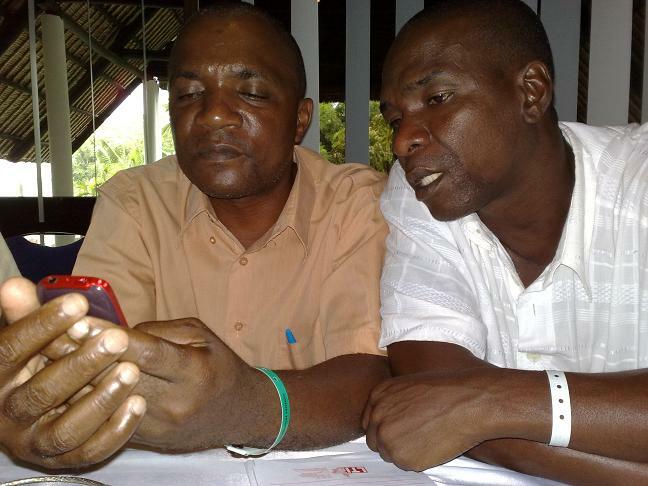 Photo: SMS was seen as a great way for communities and CBOs to communicate and organize. We’ve been thinking and discussing the best way to follow up on the Social Media for Social Change workshop that we had in December in Kenya. Ideas have been going back and forth about the best way to really find out what the Information and Communication needs are in the countries where we are working, and then how to support the different offices and staff to find the best and most appropriate Technology solutions. We ended up with a chicken and egg situation in a way…. if ICT4D is not your top priority, and you don’t spend your life trying to figure out what is happening with ICT4D, you may not know what all is out there. (Ha, even if you do spend your life doing it, you don’t know what all is out there). So it can be hard to imagine tools and solutions if you’ve not seen them in action, used them yourself, or heard about how others are using them. At the same time, each local situation is different, so one size doesn’t fit all, so in order to find a tool or a solution, the situation analysis must come from those who would use that ‘solution.’ So what do you do first — learn about different tools and potential solutions so that the lightbulb goes off on ways to incorporate/adapt the existing tools to your needs, or discuss your ‘needs’ and design something that works — sometimes re-inventing the wheel. We thought that the best way we could manage the situation was to try to do both at once. What we want to do is to activate our knowledge and study more about the concrete information and communications needs at the community level as well as in Plan’s program work that could be supported by ICTs. So we are hoping that we can produce a document which offers specific recommendations about utilizing ICTs in our work in the participating countries in Africa. And we then hope that we can identify areas to be developed further including successful initiatives currently being implemented by Plan itself and also those areas where we can build on existing synergy with governmental strategies. We are also hoping to better understand the capacity building needs among Plan and its partners. It should be interesting research/training and hopefully will take us one step further towards incorporating appropriate technology to improve our communications and management of information so that we can have greater impact in our existing programs or even develop new programs that we didn’t think were possible before….